enjoyable as always, a few of the premature baby details were incorrect. treatment given is more inline with a 30-32 week baby. most 36 week babies need little if any assistance. tube feeding is unheard of at this gestation, and supplement oxygen is normally all that is needed for a week at the very most. Indonesia, January 2005. Nick Stone is working to retrieve incriminating material from amongst the tsunami-ravaged landscape. His team is attacked, and a man dies - but not before he makes an agonising promise that will return one day to haunt him.... Moscow, March 2011. 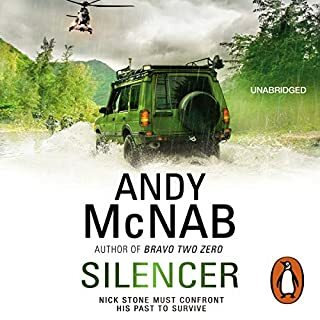 Semi-retired but restless, Stone finds him at the centre of a mission that leads him from the Alpine enclaves of the super-rich to the savage underbelly of war-torn Somalia. The printed version is better - but this is good for fools who can't read. 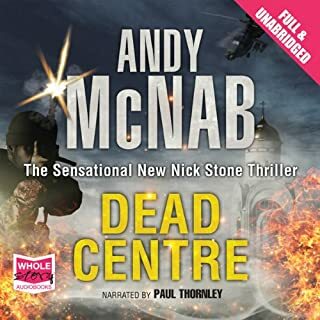 McNab is always a good read, although most certainly ghost written.